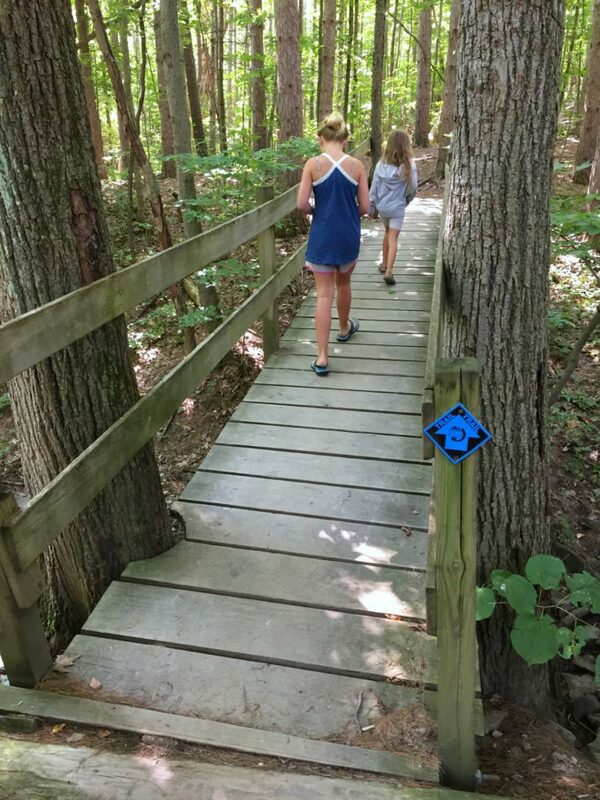 A couple years ago, we hiked Christman Sanctuary with the kids. It was a fun trail that wasn’t too challenging, plus there are some beautiful waterfalls, so we decided to go back. There is a small parking lot at the trailhead that fits about 4 cars. We ended up parking along the road, and I would say about 3 cars fit comfortably on the road before you reach a property line that is marked with “no parking” signs. This is definitely a popular trail and we saw lots of people along the trails. There is a small trail loop where you can check out the waterfalls, and then an additional orange trail loop that goes further out. 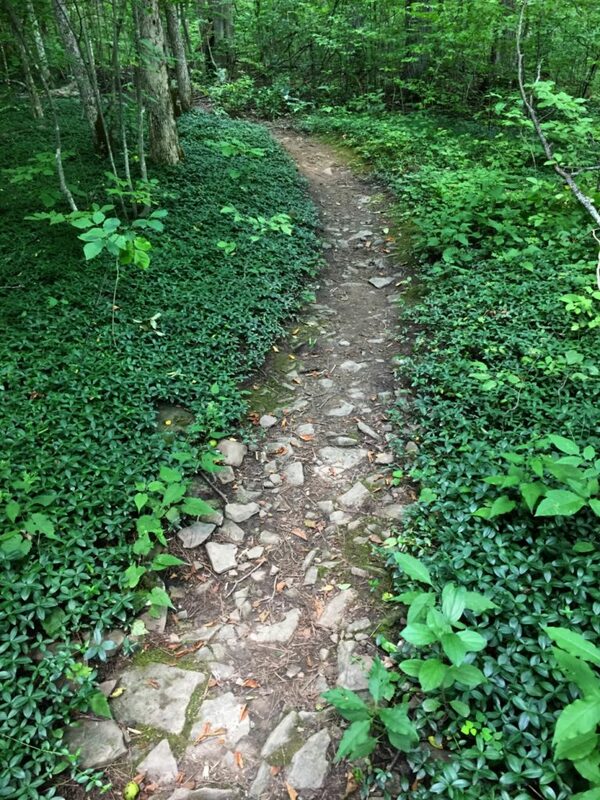 Having had a rainy summer, I thought the trails were very well maintained. We have recently been on other trails that were quite muddy to the point of being impassable, but we had no problems at Christman Sanctuary. There were a few slightly muddy spots where we were able to just walk to the side of the trail. It isn’t far to the main waterfall, which is probably about .5 mile in on the blue trail loop. We went in early August, and since we have had a lot of rain this summer, the falls were still flowing a little bit. (The first title photo is from when we went in early spring). 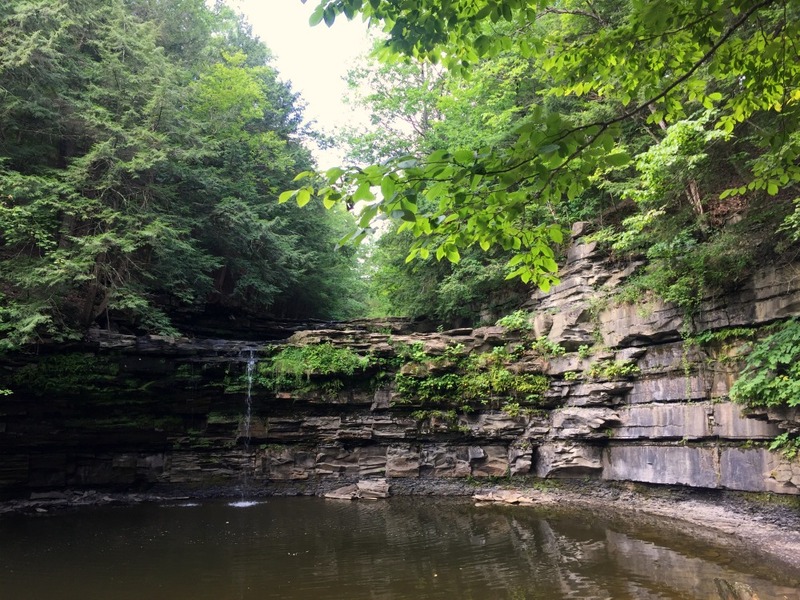 There are “no swimming” signs, so this falls is not used as a swimming hole. However, the kids had a lot of fun flipping rocks. Last time we were here, the kids waded in, in rain boots, and it might make sense to have shoes you can get wet if you like to explore the water a little. We explored around the falls and the streams. This is the largest falls at the outer edge of the sanctuary, and there are smaller falls as you go down the stream. There are plenty of little fish, crayfish, and salamanders. 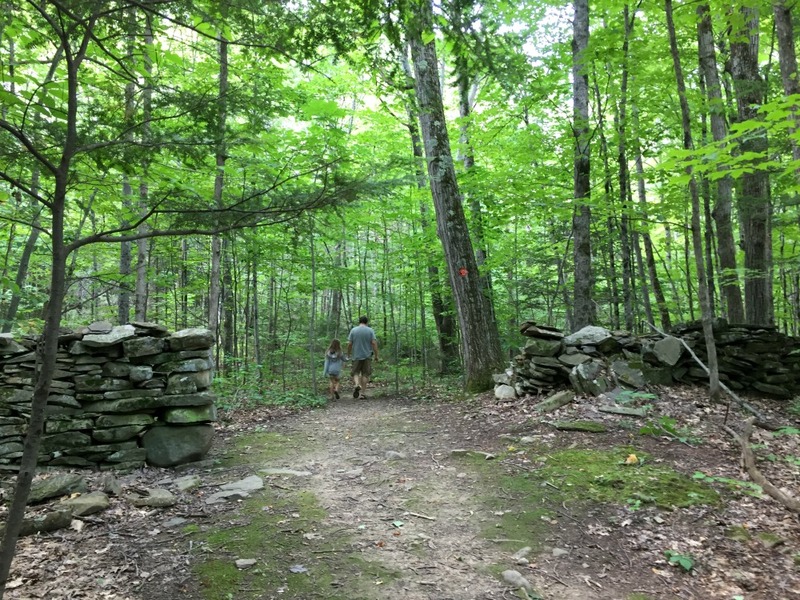 While this trail is pretty kid-friendly because it is easy and short, there are a few parts where kids need to be careful. 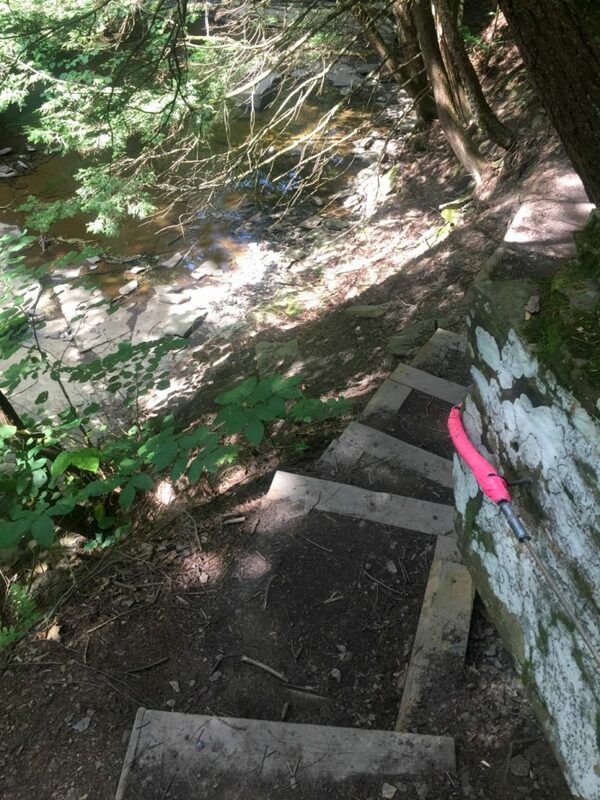 There were just a few stairs (where the pink tape is) where you really want to keep an eye on younger kids and make sure they hold on to the wire that runs along the rock. 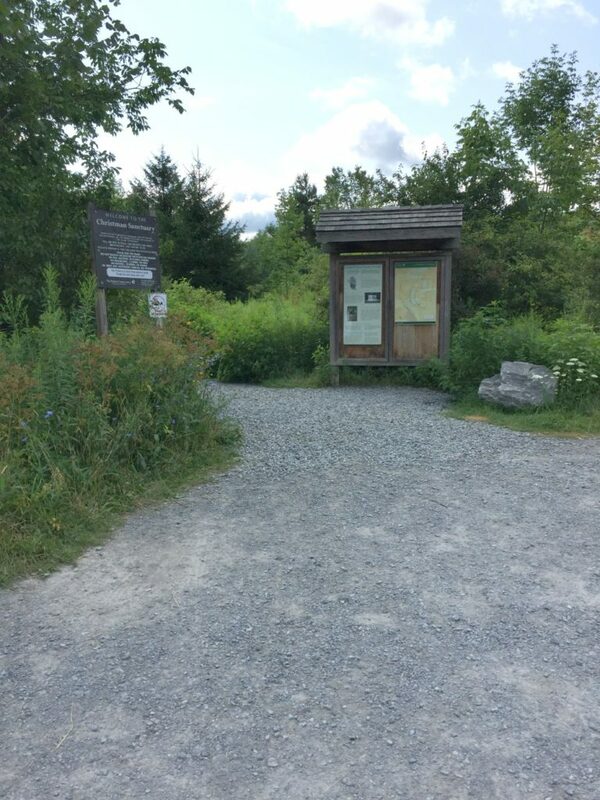 I recommend bringing a trail map, taking a picture of the map at the kiosk, or using an app like AllTrails. 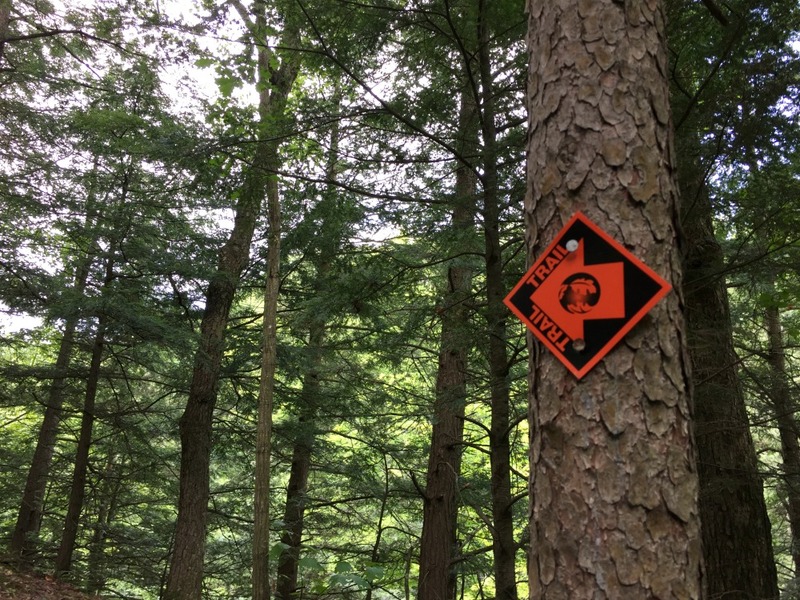 There are two main trails – the blue loop and the orange loop – and although the trails are all well marked, you want to have an idea of where the trails go. The orange loop goes through a nice wooded area. This property is owned by the Nature Conservancy, and their website says that much of the land was originally farm land, which was later turned into a forest plantation. This was a nice little hike. We started off with about .5 mile to the largest waterfall, then added on the orange trail loop to burn off some energy, and logged just over 2 miles. I like that you can keep this very short for littler kids, or make it a little longer. Either way, an easy hike. 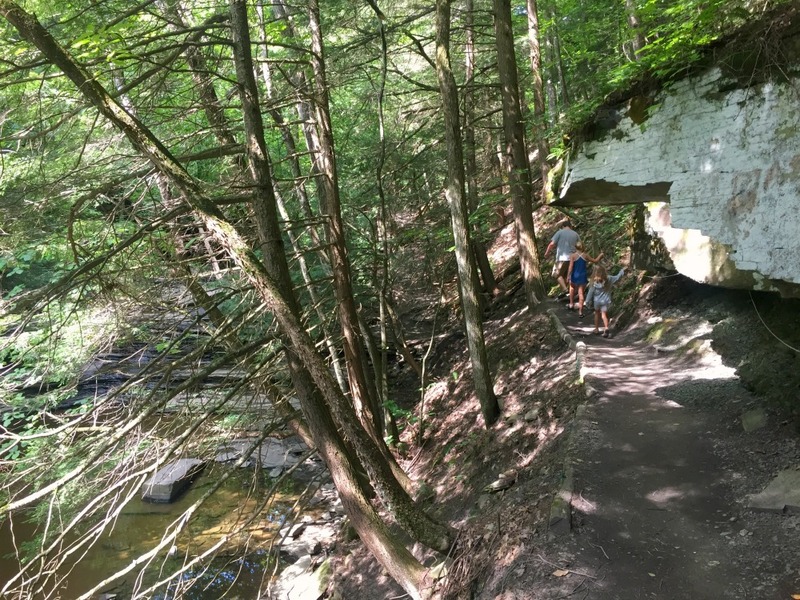 We didn’t see any trash on the trail and the trails were very well maintained – no mud, and there were sufficient stairs, bridges, planks, and trail markers. Check out the Nature Conservancy page for more information here. What a beautiful place. this would be a lot of fun for the family. My family and I love visiting natural attractions. 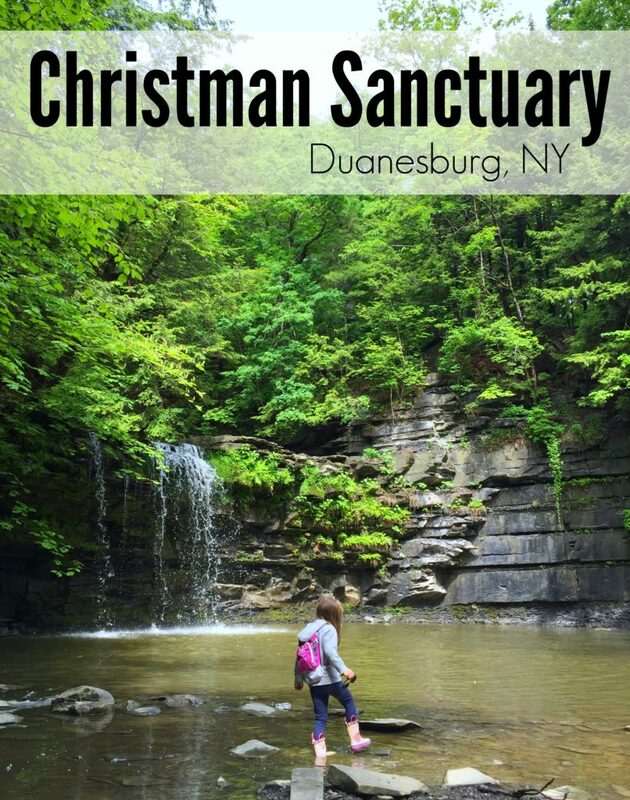 Christman Sanctuary looks and sounds like a great place to visit and do a little hiking with kids! This Christman Sanctuary is so nice! I wish there was something like this near us. So many cute things from the forget-me-not’s to the teeny crayfish. So fun! 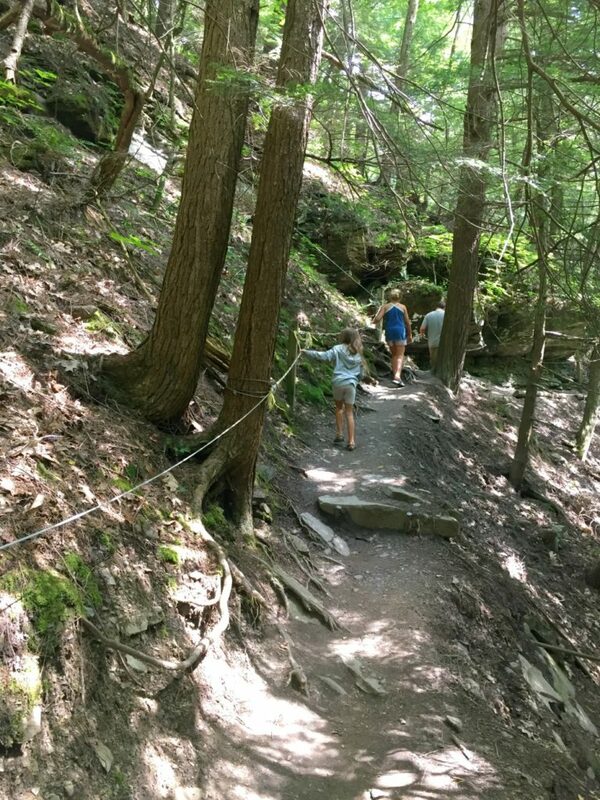 What a beautiful place to visit with the family and I like how you can explore and exercise at the same time. What soothing water to look at! That is such a beautiful place! I love walking in nature. I hope I get to visit that place someday with my husband and son. That looks like a fun exploration! Although I have to ask, was your little lady okay in flip flops? What a beautiful place to hike! I love to get the kids out especially when the weather is nice. We are headed to Indiana soon. I’m looking forward to hiking there. This looks amazing! We love doing things together as a family like this. Anytime we can get outdoors, is always a great time! If we are ever in the area, I’m going to have to check this out! That is a beautiful place to check out. I am curious how far of a drive it would be for us, I am in NH and I nkow it is a 5 hour drive to Manhattan. I am going to look it up since the trio want to do some road trippin’ this summer. We have a place almost exactly like this, just down the road from us. It’s one of our favorite spots. Wow that looks like a great plce to go. There is a place nearby here that I always think about checking out when I don’t have time but I think this makes me carve out some time for it, it looks amazing. I honeslty do not like hiking but if the place is this beautiful, I will consider it! I bet the kids had fun and learn a lot from the trip. Wow! Such a beautiful place. I love nature and exploring it is one way of my appreciation and gratitude to our creator. Those species are so beautiful and it should be taking care of. I love this place, I really do. I love the beautiful outdoors. This place looks amazing too. This is the type of outdoors we love around here! My family loves being outside and this would be a beautiful site to see. I love hiking trails, especially if there is a waterfall on it. Its too bad there’s no swimming. I hope to travel to New York soon, so maybe I can add this to my list of things to do! That looks like a really neat place to go for a hike. I love how secluded the little water hole is. This looks like a great place! My daughter would love to go here!! This is right up her ally! This looks like a beautiful trail to go walking. I wish that we had places like this to visit. 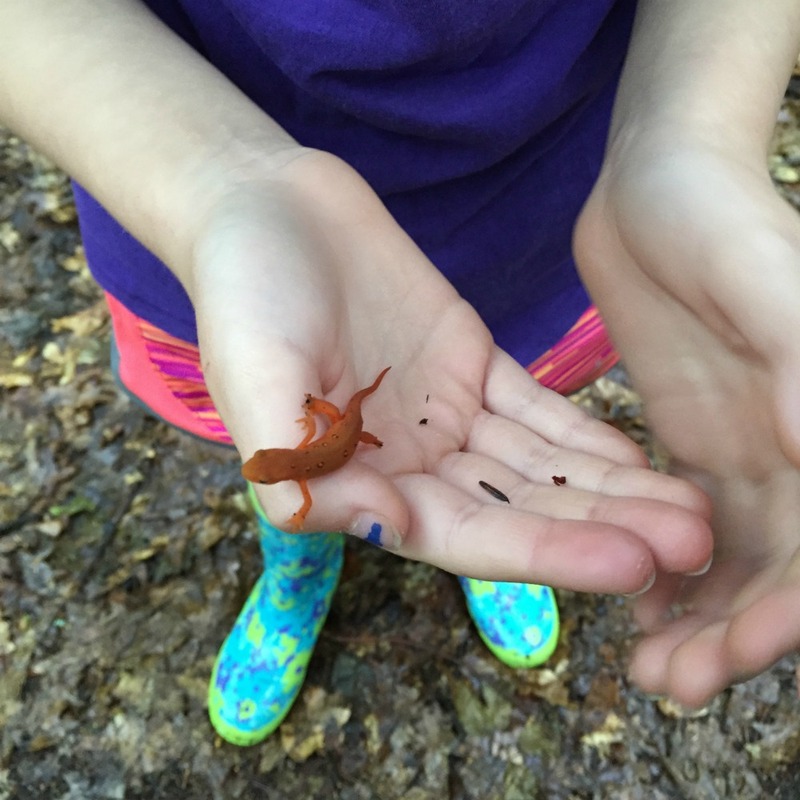 The red salamander is a pretty color. Playing in the water would be fun but I could see it being unsafe too. This looks like such a great place to escape too, I miss the North East so much. Especially the trails and creeks. My kids would love to explore this sanctuary. I love finding opportunities to connect them with nature. 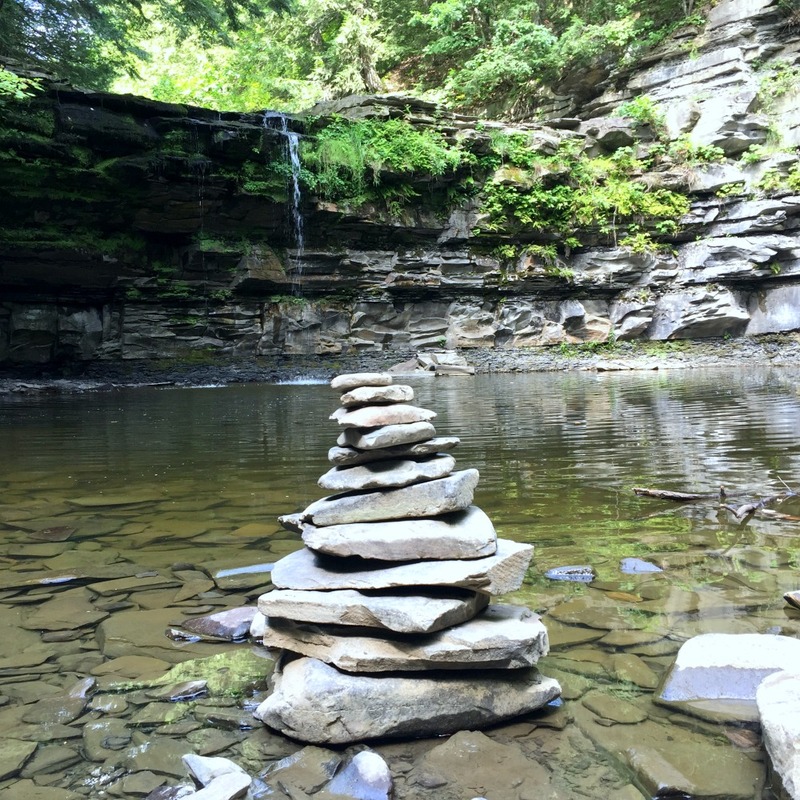 With hiking and waterfalls, it’s got a lot of beauty to enjoy. Now this looks like an amazing trail to hike! 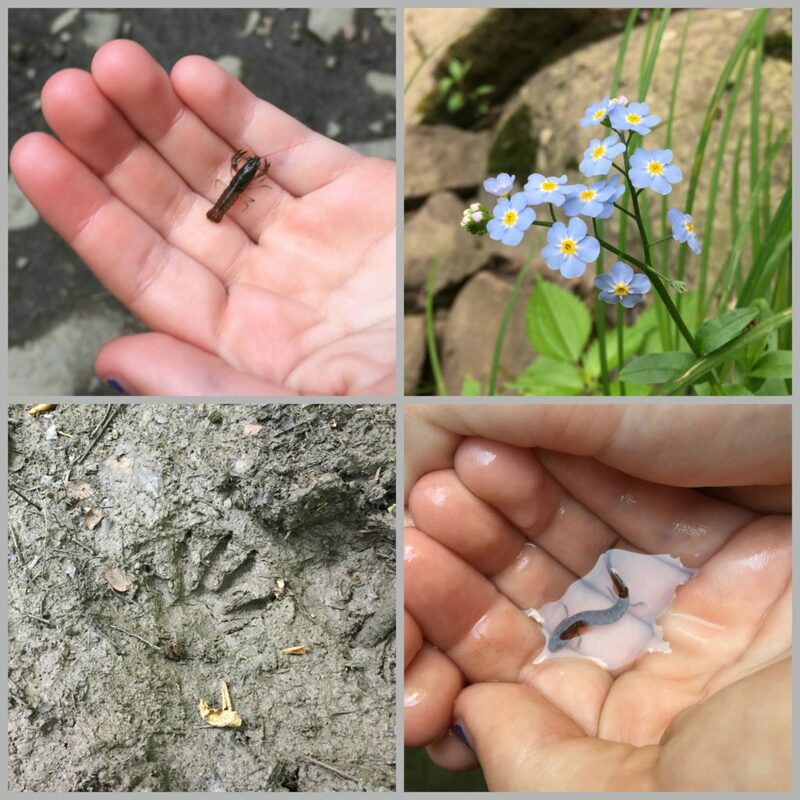 I love getting outdoors and exploring when the weather cooperates! What a gorgeous place to hike around! I love being outside with my family. 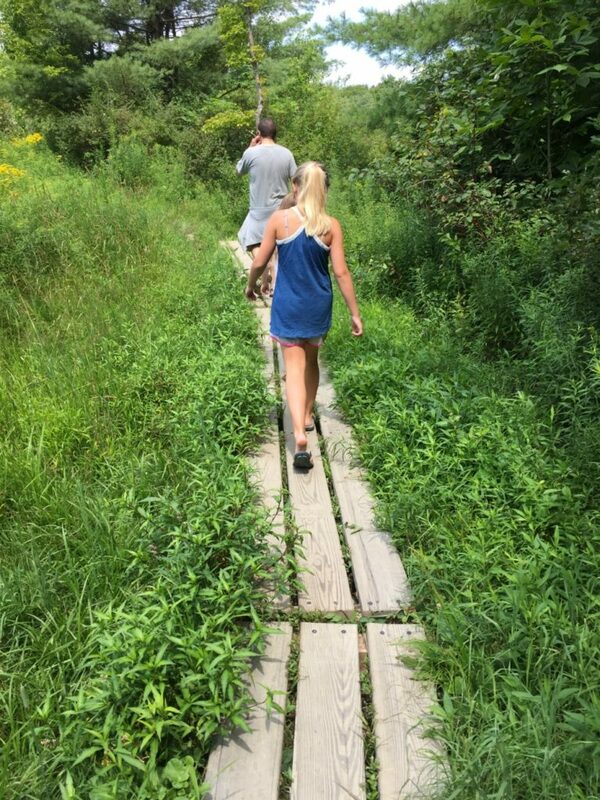 We love to hike and be out! Oh wow what a gorgeous place to hike! We love getting outdoors and somewhere like this would be perfect for that! Great shots!